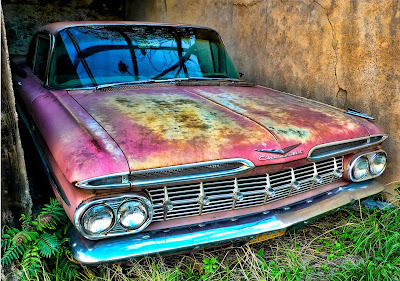 Check out my Photography on Fine Art America! Hey there readers! 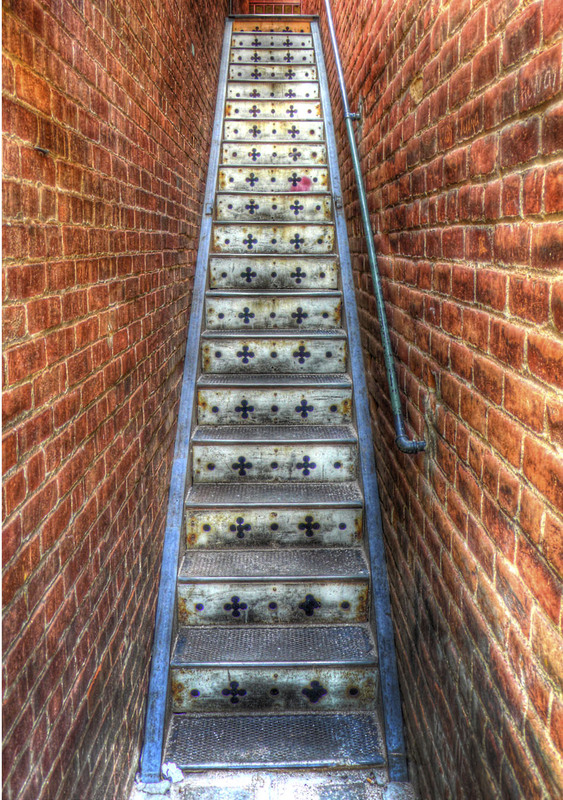 Did you know that I've got some photographs posted (and, for sale...) on Fine Art America? Well, I do! Please go to this link and check them out! Thanks! It's been very cold here in Bisbee for more than a week now. I've been indoors & staying warm when not working. It's chilly tonight - and, windy! 40% chance of rain on this 4th of November...really? I guess Winter is heading our way! Not a whole lot to say...Just thinking about the fragility of life. 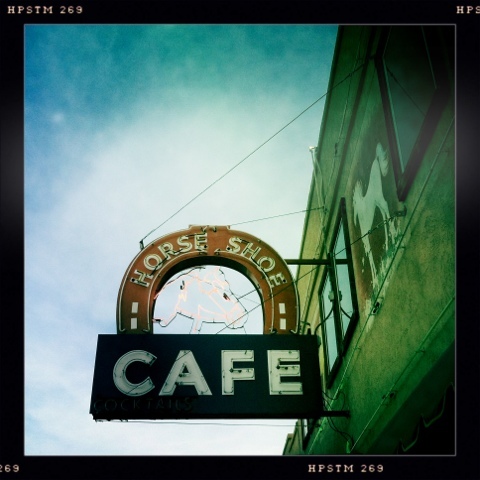 A friend of ours here in Bisbee, Russell Dunn, has suffered a severe brain hemhorrage and is clinging to life in a hospital in Phoenix. We're all sending him good thoughts and holding the space for him. But, at the same time, it seems he may have "left the building". My daughter had a baby boy on February 8th - Benjamin Joseph. He is PRECIOUS! OMG, this means I truly am a Grandma! Here's an "up to the minute" photo of the two of us. I am savoring every moment before I have to wrench myself away! Love Love Love Love Love Love Love...and, more Love! On a sunny day, Thailand is absolutely gorgeous! Blue skies, swaying palms, the ocean waters are a sparkling blue, balmy weather. 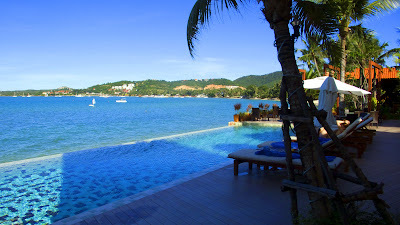 This photo was taken from our table at the Prana Resort near Fisherman's Village on Koh Samui. Absolute heaven! It's been some time since I've blogged - again - and, I just want to wish everyone a very Happy New Year! 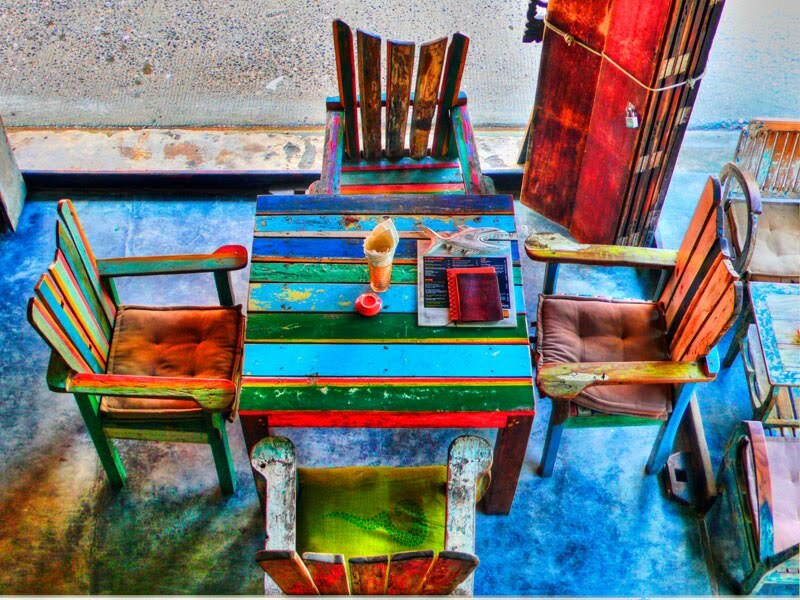 Here's a shot I took of a cool open air breakfast spot in Fisherman's Village on Koh Samui, Thailand! I took a little drive over to Santa Cruz Valley a few weeks ago to see what it looked like out that way. Lovely scenery...the monsoon rains had greened up the hills and the towns along the way are fascinating! Tubac, Tucamacori, Nogales, River Road - I'll return soon! 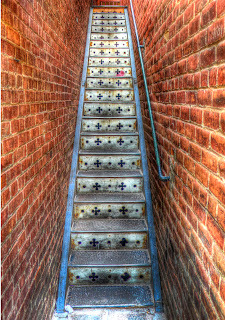 I've seen this staircase a fair number of times while walking down Brewery Gulch in Bisbee, but, I never really stopped to photograph them. This is an HDR shot, simply to try my skills at it. Big Sur How I Miss You! 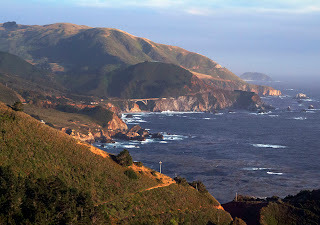 Hey folks...I have a selection of my work on Fine Art America under big sur photos. There will be more images uploaded very soon, but, I wanted to show you this for now!